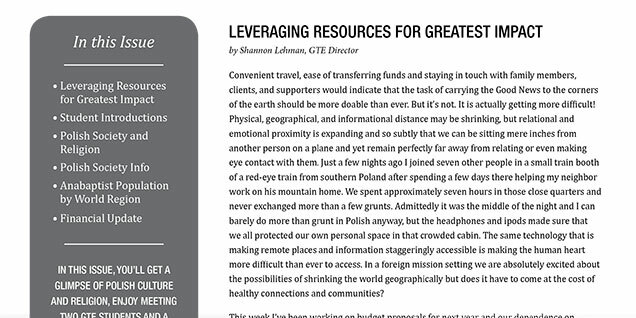 GTE Director Shannon Lehman writes about using resources for maximum impact, and Lavern Hershberger describes the challenges of living in a largely homogeneous Roman Catholic society in Poland in the AIM Spring 2017 newsletter. 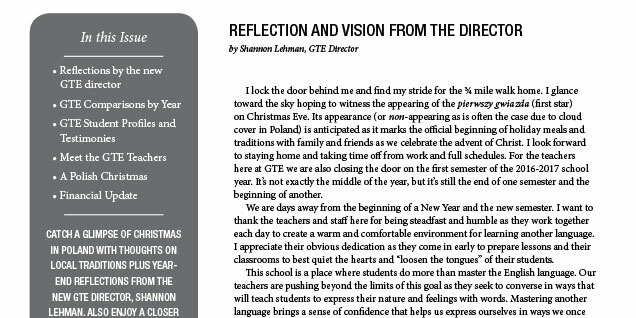 Catch a glimpse of Christmas in Poland with thoughts on local traditions plus year-end reflections from the new GTE director, Shannon Lehman. Also enjoy a closer look at GTE through student and teacher introductions and reports. What is AIM? What is its long-term goal? 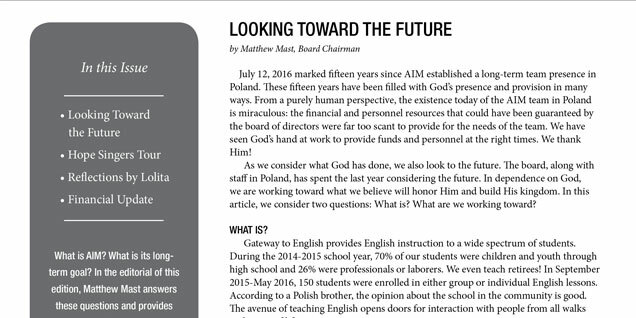 In the editorial of this edition, Matthew Mast answers these questions and provides an overview of the work ahead. The last few months have been full of activity at AIM in Poland, including special visits, a conference, and a GTE party. 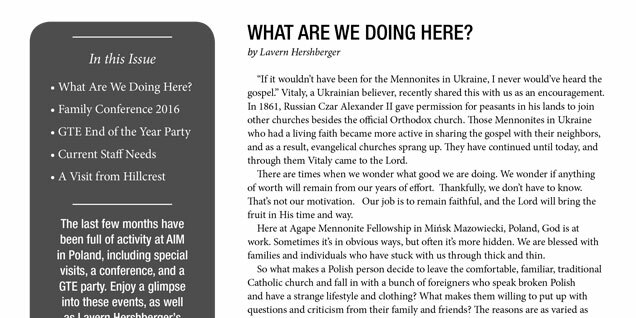 Enjoy a glimpse into these events, as well as Lavern Hershberger’s reflections on the greater purpose and impact of AIM’s work in Poland. 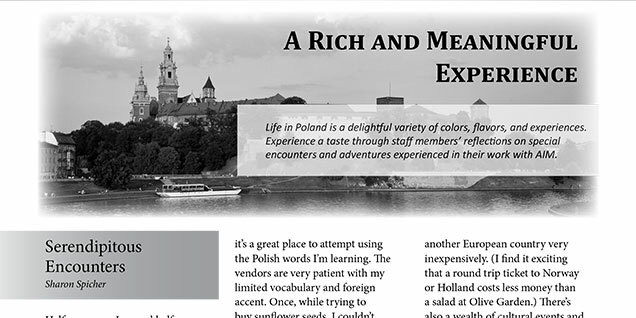 Life in Poland is a delightful variety of colors, flavors, and experiences. Experience a taste through staff members’ reflections on special encounters and adventures experienced in their work with AIM. 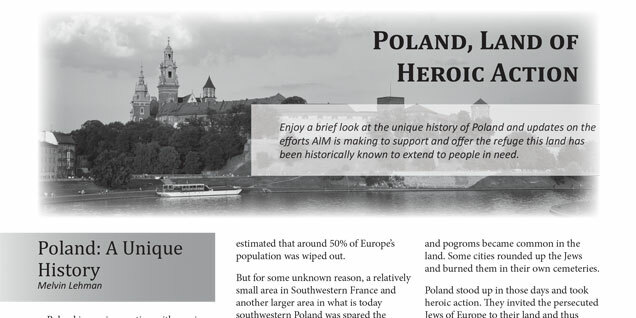 In this edition of the AIM newsletter, AIM board member Melvin Lehman recounts the unique historical role of Poland in giving haven to persecuted peoples. Also, Dervin Martin describes the Gateway to English tour to the eastern United States. Relationship-building in ministry requires good communication and, as Anita Yoder shares, words are not the only way to communicate. 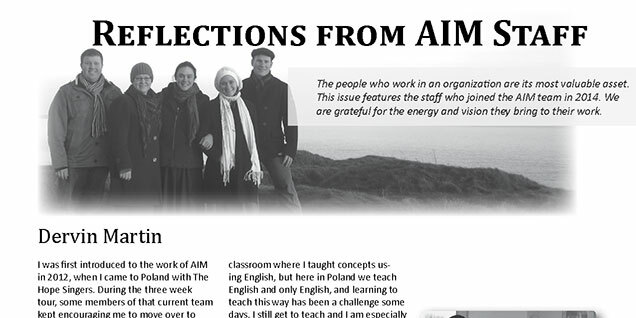 This edition of the AIM newsletter includes her reflections on communicating in Poland and a report on our English Day Camp in Minsk Mazowiecki. Church planting is at the heart of AIM’s mission. 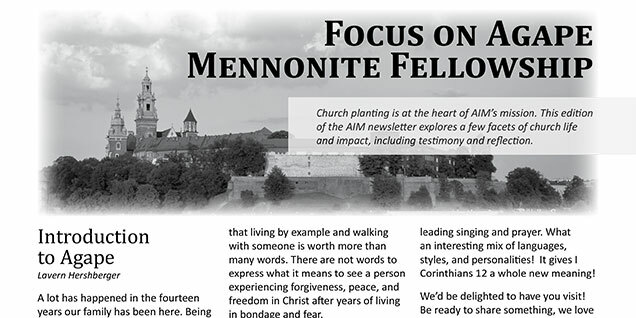 This edition of the AIM newsletter explores a few facets of church life and impact.